Labour claims are never accepted. I aim to resolve issues. FORD MONDEO 2.0 TDCI 03-08. KV6 2.0 & 2.5 Engines. Rover 75 & MG ZT. 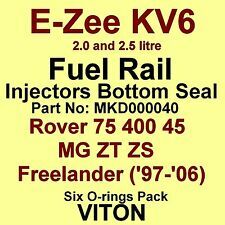 Fuel Rail Seals in Hi-Spec VITON - THE BEST. Six Injector BOTTOM End Seals. 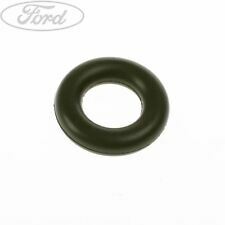 This is Injector Seal C in the image below. BOOST MANIFOLD PRESSURE MAP SENSOR FOR NISSAN OPEL VAUXHALL 2.2 2.5 DTI 4401787. 1.9 DCI DI FUEL PRESSURE SENSOR 0281002522 0281002867 Rail Injector. AIR INTAKE TURBO BOOST PRESSURE MAP SENSOR FOR NISSAN RENAULT 1.5 1.9 2.0 DCI D.
Saxo VTS Fuel Injector Rail Loom. Condition is Used. Clips not included. See my other items for matching injectors or message me for requests. Dispatched with Royal Mail. COMMON RAIL INJECTOR WASHER. TO FIT BOSCH COMMON RAIL INJECTOR 0 445 115 074 / 0445115074. 0 445 115 069 / 0445115069. Newly Listed. 0 445 115 068 / 0445115068. View Our Categories. 0 445 115 032 / 0445115032. Hyundai Grandeur 2.2 CRDi. COMMON RAIL INJECTOR WASHER. THICKNESS : 1.5 mm. Color: Purple Copper. -Material: Copper. 4 x Washer Seals. Detail Image. Injector Plug with Wiring Pigtail for Delphi Injectors ONLY. 4 x Injector Plug with Pigtail. Delphi Diesel Injector Connector Plugs to Fit Ford, Renault, Nissan, Jaguar Etc. (E.g. you brought wrong size or wrong item). Made from: VITON-70 Heavy duty upgrade material. All of our products are sourced directly from our range of approved factories. All of our parts are subject to quality testing and are ISO TS16949 certified, we also search to make sure that our approved manufacturers use the latest technologies and materials available. Citroen Berlingo 2005-2015. Citroen C2 2005-2009. Citroen C4 2006-2011. Citroen C4 Aircross 2012-2015. Citroen C4 Grand Picasso 2013-2015. Citroen C4 Grand Picasso I 2010-2015. Citroen C4 Picasso 2013. Rebuild kit for Bosch KE - Jetronic & cis K jetronic Warm Up Regulator (WUR). Save hundreads on rebuilding your WUR. with the following part numbers. 4 copper crush washers for fuel connections. One Stainless steel Diaphragm that sits inside the regulator cell. VAUXHALL MOVANO 2.2 DTI. 1 x 1m Leak Off Pipe. INJECTOR LEAK OFF KIT. BOSCH COMMON RAIL. 1 x 90° 'L' Connector Inc. Rubber O'Ring. 3 x 180° 'T' Connector Inc. Rubber O'Rings. VAUXHALL 1.7 CDTI. 1 x 1m Leak Off Pipe. INJECTOR LEAK OFF KIT. BOSCH COMMON RAIL. 2 x 90° 'L' Connector Inc. Rubber O'Ring. 2 x 180° 'T' Connector Inc. Rubber O'Rings. This kit will service the following cast iron Fuel Distributors that contain a stainless steel Diaphragm. This kit will replace your copper washers. x8 smaller copper washers CU001A. x3 larger copper washers CU003A. VW/AUDI/SEAT/SKODA. Its really simple to do so. In good, used, working condition. Spares Experts. This kit will replace your copper washers. x7 smaller copper washers CU001A. x3 larger copper washers CU003A. Within the kit;. 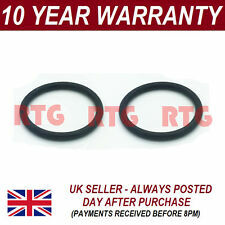 RENAULT 1.5 DIESEL INJECTOR LEAK OFF ORING SEAL SET OF 4 MADE FROM VITON-70 UPGRADE MATERIAL. Labour claims are never accepted. All of our products are sourced directly from our range of approved factories. To fit Bosch Diesel Injectors (these seals go half way up the injector). BMW X5 2001 E53 [2000-2006] SUV SUV 3.0d 2925ccm 184HP 135KW (Diesel). BMW X5 2002 E53 [2000-2006] SUV SUV 3.0d 2925ccm 184HP 135KW (Diesel). BOSCH PDE INJECTOR SEAL. 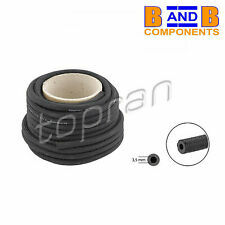 INJECTOR SEAL REPAIR KIT FOR BOSCH PDE INJECTORS. FOR: AUDI / VW / SEAT / SKODA. REPAIR KIT. 0 414 720 217 / 0 414 720 220 / 0 414 720 221 / 0 414 720 222 / 0 414 720 223 / 0 414 720 224. Removed from my 02 ST170, fits 02 to 05 models. Good working condition REMOVED FROM A 2008 VAUXHALL ZAFIRA B MK2 1.9 CDTI ( Very low mileage ). VAUXHALL ZAFIRA B MK2 2005 - 2011 Z19DT. INJECTOR INJECTORS RAIL. FOR HYUNDAI TERRACAN 2.9 CRDi. 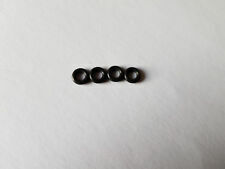 TO FIT DELPHI COMMON RAIL INJECTOR COMMON RAIL INJECTOR WASHERS. THICKNESS : 2.0 mm. R02301Z / R02401Z / R02901D. EJDR02801D / 202801D / R01901Z. Model No: SX024 Depth: 80mm Size: 27mm Drive: 1/2"Sq. You may be asked to sign in. Fits :Audi A6 3.0 TDI. COMMON RAIL INJECTOR WASHERS. THICKNESS : 1.5 mm.